As some of you know, ICVerify has recently shut down their business. As such, many businesses are now being left without a payment solution for their businesses and merchant accounts. From us here at Web Payment Software, we would like to welcome any and all former ICVerify customers to our business. We would love to become your payment gateway solution. If you look over our site, you’ll see that not only do we offer great rates, we are half the cost of our competitors. We offer cost-plus pricing for all of our merchant accounts with rates as low as 2.25% which can’t be beat by our competitors. Curious how Web Payment Software can streamline your merchant account and payment gateway services? Learn why Interchange-plus pricing will save your business money! Contact Us Today! With a new year, comes new trends as well as new issues. One of the new trends that has a lot of merchants concerned is the rise in popularity with mobile payments. Mobile payments and its recent rise in popularity has spun the traditional payment system on its ear. Even further, companies, especially those in the retail space have had to adapt their marketing strategies in different channels, change their approach to the consumer, and has brought an evaluating light on their data security and fraud protocols. Why Concern About Mobile Payments? Before we begin, you might be wondering why businesses have begun worrying about mobile payments. Here’s why; In 2014, mobile payments accounted for $52 billion in U.S. transactions alone, the early numbers for 2015 account for somewhere around $67 billion. That’s a lot of money, everyone from Uber and Starbucks, to big box retailers are seeing the benefits of having their customers leave their wallets at home. However, where the money goes, crime follows. Mobile fraud now makes up 21% of the $6 billion that fraud costs merchants and card issuers in the US each year. The crazy thing, mobile payments only account for 14% of transactions amongst merchants that accept mobile payment. For each dollar spent on fraudulent purchases costs the merchant $3.34. Thats slightly more than the cost of card present fraud and 27% more than CNP fraud from a PC. Additionally, mobile fraud is harder to track for two reasons: First, the IP address is assigned from where the smartphone is purchased, not its current location. Second, most companies and investigators aren’t equipped to trace mobile Ips. Despite the high fraud costs, mobile commerce merchants are still keeping overall fraud costs low, but that’s mainly because of the relatively low volume of purchases in comparison to online and in store. However, as the popularity of mobile commerce increases this model will become unsustainable unless proper anti-fraud measures are put in place. In the mean time, if you are a merchant who accepts mobile payments, make sure your fraud measures are up to date, and make sure to set up some verification system to determine that purchases are legitimate. With EMV in full swing, there is a much higher chance this holiday season for merchants to end up with coal in their stocking due to the potential of CNP fraud rising because of EMV. However, there’s no need to worry, as long as you stay vigilant and know what to look for, here are 10 signs that you might be subject to CNP fraud. This one might seem kind of silly, but always be wary of first-time shoppers, criminals are always looking for new victims, this also plays into to tip #2. Stolen cards or account numbers have a limited life span before they get flagged. Because of this fraudsters are looking to get the most out of their purchases so it’s, “go big or go home” when it comes to their purchases. This comes down to simple math, criminals are looking for as much profit as possible, having multiples of the same item increases their profits. Your big ticket items have the maximum resale value, and therefore the maximum profit potential for fraudsters. Watch out for orders like these, it might be exciting to see, but always verify with the customer first before you fulfill it. A significant number of fraudulent transactions occur outside of the US since Visa AVS can’t validate non-U.S. purchases, outside of Canada and the UK. This should be a red flag when this appears, as this could involve account numbers that were generated using pirate software, or even be done with a batch of stolen cards. This could be an attempt to “run the card” (make as many transactions as possible) before the account associated with the card is closed. If more than one or two card is being used to purchase from your store from the same IP address, then there is a high possibility that the transactions are fraudulent. This kind of fraud usually indicates organized activity rather than a single fraudster at work. Be very cautious of these kinds of orders. The old adage rings true for online business, if the order is uncharacteristically large for your business or if the sale is otherwise outside the norm for your business, it’s probably too good to be true and is a fraudulent sale. We hope you find these tips to prevent credit card fraud helpful. Cost plus v. tiered pricing is commonly misunderstood by merchants. If you’ve ever scouted for better credit card processing rates, you’ve probably been asked by competing merchant account services to present your previous months’ statements for them to analyze. When you get back quotes from them, you could see a difference in cost from just a few tenths of a percentage point, to hundreds of dollars a month in potential savings. However, if the rate you’re being quoted is the same as the one you have now, how is it that there is such a huge discrepancy in the numbers? Welcome to one of the most misunderstood and potentially confusing parts of the payment gateway industry: merchant account pricing and its wide variety of different payment structures. The most common being Interchange/Cost Plus Pricing versus Tiered Pricing. For example, if your business started out as an online store and now you’ve opened a brick and mortar store front processing card present transactions, you’ll save an incredible amount of money if you simply inform your merchant account provider of this change. Basically, each transaction will cost you less because you’re processing a card face to face, which is much more secure than a card not present transaction (processing a credit card through an estore or over the phone order). So before you even begin shopping for rates, make sure your business is set up to process card orders the right way. Example 1: A rewards card is swiped at your terminal. You pay Mid Qualified 2.25% plus any surcharges that the MSP charges for this tier of transaction. Example 2: A corporate card is swiped at your terminal. You pay Non-Qualified 2.55% and any surcharges that the MSP charges for this tier of transaction. When speaking to an account rep and they quote you “their rate” of X% and if you know they’re based off of a tiered system, be aware that “their rate” of X% is the QUALIFIED RATE only. Trust me when I say you’re bound to process cards that fall under the mid and non-qualified tiers, so make sure you ask what their additional rates are when researching merchant accounts. 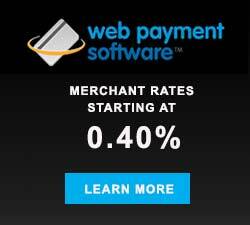 Your merchant account provider charges you .77% + $0.15 per transaction. You accept a basic, no-frills Visa with an interchange of 1.60%. Your cost for that transaction is 1.60% plus .77% plus $0.15 or 2.37% and $0.15. After reviewing this information between Cost/Interchange Plus vs. tiered pricing, you’re probably wondering which pricing model is best for your company. The answer is: it depends on your business type, your processing volume, and which types of cards you encounter most frequently. I would recommend gathering at least three previous months of processing statements or, if you’re opening a new business, make some educated guesses about the aforementioned questions and send them to several different merchant account providers. Most will analyze your statements (or the information you’ve provided them) and be able to quote you how much they would charge you based on your transaction history. Some will be able to come in much lower than others based on either their flat cost plus fee or the way that they’ve set up their “tiers.” It pays to look at several offers from competing service providers while trying to get the best rate and price structure possible for your company.